In medicine, patient welfare should always be the highest priority. However, the contemporary progress in biotechnology brings up a question: what should be the relationship between human welfare and technological development? Are the advances in the world of innovation always beneficial to the society? 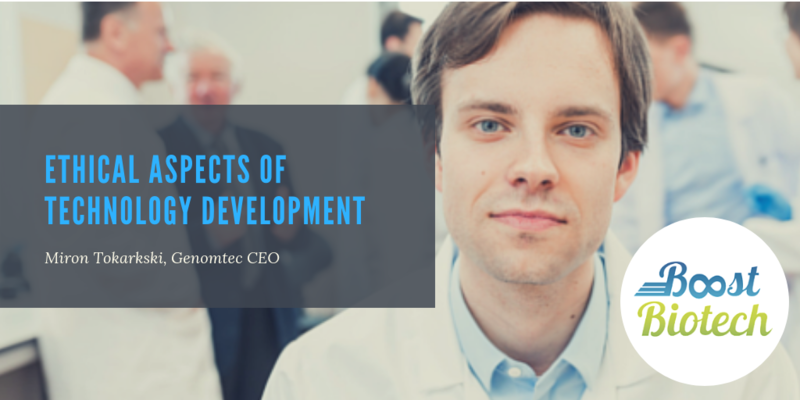 Contrary to appearances, the answers are not obvious, and that is why Miron Tokarski has been invited by Boost Biotech Polska, a community of bio-tech enthusiasts, to share his opinions on the subject. The meeting took place in Wrocław, as part of a series of Meet Biotech workshops that are organised all over Poland. During Meet Biotech, interesting personalities representing the Polish and foreign industry share their knowledge and insights on the most captivating topics in the field of biology and pharmacy, such as concerns and hopes associated with Asaia bacteria, visualisation of medical data using 3D printing techniques, augmented reality or regenerative capacity of stem cells.